How to Remove SearchFormsOnline Browser Hijacker? SearchFormsOnline is a misleading application which claims to find US government forms relating to taxes, healthcare, travel etc. On initial checking, this function may seem to be applicable, but the application has a suspicious behavior. 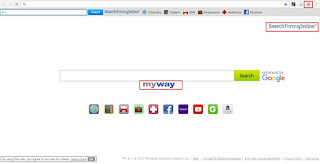 Once this is application is installed on your browser, your home page will change to http://www.myway.com. How it enters your PC? It can get into your system without your permission when you click on random links and ads. 1. SearchFormsOnline is a browser hijacker that changes your browser settings. 2. It changes your homepage to http://hpmyway.com. 3. It displays a lot of ads, banners, and coupons which can degrade your browsing experience. 4. It can open doors for other unwanted programs that would use your system resources and slowdown your PC. 5. It gathers your personal information and can transfer it to third parties. 1. Whenever you launch the infected browser, you’ll notice that your homepage has been changed. 2. 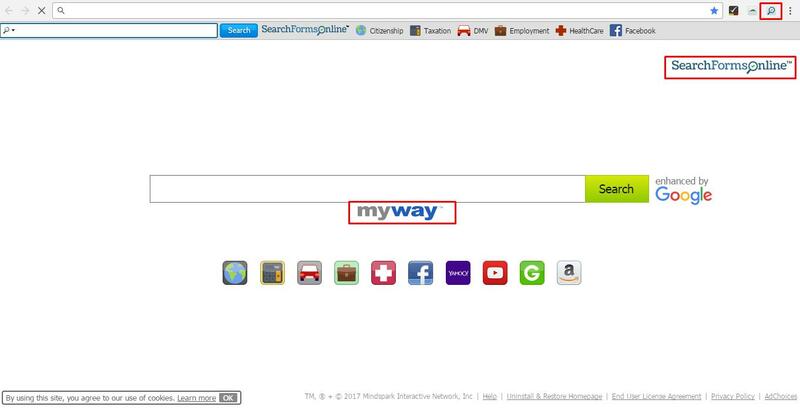 The default search engine will get changed to http://www.hpmyway.com. 3. Whenever you search for anything in the search box, it would start the search using its own search engine. 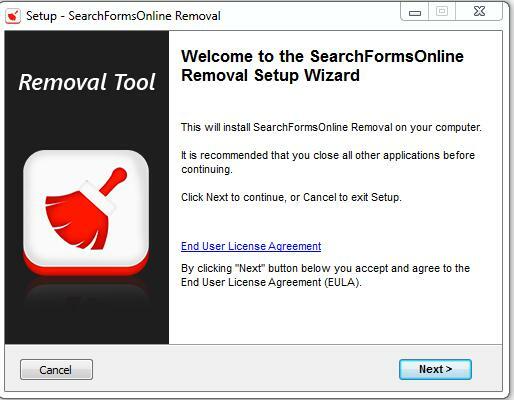 How to remove SearchFormsOnline browser using SearchFormsOnline_RemovalTool? 2. Double click on the tool icon and open it. 3. When the setup is launched, click ‘Next' on the window that appears. 4. In the next screen, type ‘Y' for ‘Yes' to start the scanning process. 5. In the subsequent screen that appears, type ‘Y' for ‘Yes' to automatically close all the browsers and continue the cleaning process. 6. Wait for the removal process to get completed.